The name comes from the Federico Fellini's movie Le notti di Cabiria and immediately evokes the nightlife full of beautiful people, music and social events. Modern, fashionable and trendy, with a feeling that reminds the old Parisian cafès, the Cabiria is a meeting point for everyone. Animated by a sparkling staff (ask for drink specialties! 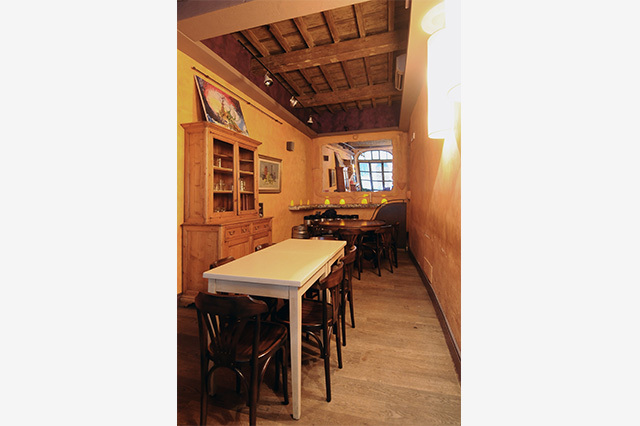 ), with a unique eccentricity, is one of the most popular nightclub of Piazza Santo Spirito, one of the most ancient and fascinating squares of the Florence town, with tables under the shadow of the homonymous church and in the inside room. 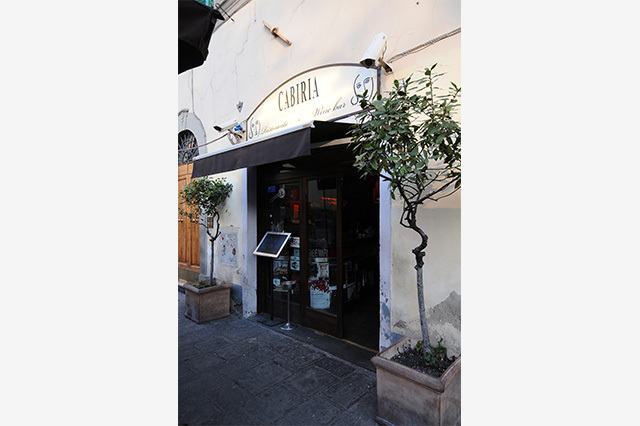 Open everyday, the Cabiria proposes a buffet aperitif, with lot of snacks and hot dishes, made by the chef in the private kitchen from 7:00 pm to 9:30 pm, and served with high quality cocktails and wines. A perfect place for the dinner too, is open up to 2:00 am to relax with background music, live mixed on friday and saturday. The club can host photographic shows, book presentations and so on, for free.